This area of Derbyshire had been known for its outcrops of iron ore which had been exploited at least since the Middle Ages. After the Norman Conquest, nearby Duffield Frith was the property of the de Ferrers family who were iron masters in Normandy. In 1793, William Jessop, with the assistance of Benjamin Outram, constructed the Cromford Canal to connect Pinxton and Cromford with the Erewash Canal. In digging Butterley Tunnel for the Cromford Canal, coal and iron were discovered. Fortuitously, Butterley Hall fell vacant and in 1790 Outram, with the financial assistance of Francis Beresford, bought it and its estate. The following year they were joined by Jessop and John, the grandson of Ichabod Wright, a wealthy Nottingham banker who was betrothed to Beresford's daughter and who owned the Butterley Park estate. In 1793 the French Revolutionary Wars broke out and by 1796 the blast furnace was producing nearly a thousand tons of pig iron a year. By the second decade of the next century the company had expanded with another works at Codnor Park in Codnor, both works then having two blast furnaces, and output had risen to around 4,500 tons per year. 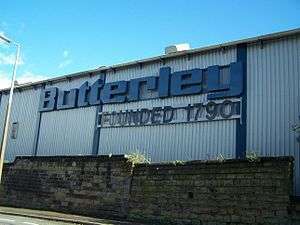 Outram died in 1805 and the name changed to the Butterley Company, with one of Jessop's sons, also William, taking over. In 1814 the company produced the iron work for Vauxhall Bridge over the River Thames. In 1817, in the depression following the Napoleonic Wars, the works at Butterley was the scene of the Pentrich Revolution. The intention of the rebels was to kill the three senior managers and ransack the works for weapons. When they arrived they were confronted by George Goodwin the factory agent, who, with a few constables, faced them down. There is little to be seen of the event, but the hexagonal office where Goodwin stood his ground is a listed building in the yard of the works. Following this the country entered a long period of prosperity, the company with it. In 1830 it was considered to be the largest coal owner and the second-largest iron producer in the East Midlands. By this time the company owned a considerable number of quarries for limestone and mines for coal and iron, and installed a third blast furnace at Codnor Park. One of the two drainage engines at Pode Hole and the engine in the Pinchbeck Engine land drainage museum were built by Butterley, as were the Scoop wheel pumps. They produced a vast array of goods, from rails for wagonways to heaters for tea urns. Thomas Telford's Caledonian Canal used lock gates and machinery with castings produced at Butterley, and two steam dredgers designed by Jessop. The company also produced steam locomotives, mostly for its own use, but it provided two for the Midland Counties Railway. 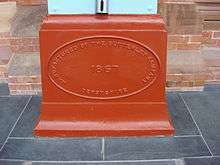 It produced all the necessary castings for the new railways and two complete lines, the Croydon, Merstham and Godstone Iron Railway and the Cromford and High Peak Railway. 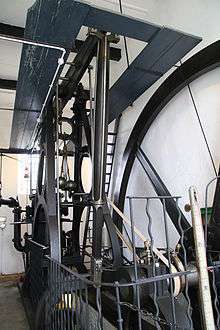 A winding engine for the latter exists in working order at Middleton Top near Wirksworth. The company was quick to invest in the new Bessemer process for steel manufacture in 1856, being one of four businesses that took out a licence from Sir Henry Bessemer within a month of his announcing his method. The licences were spread around the country in order to protect the trading interests of the licensees. Notable patents were taken out by the company's manager, Sir John Alleyne. In December 1859 Alleyne patented a method of producing a load-bearing iron beam known as the Butterley Bulb, used in many early iron steam ships including HMS Warrior In 1861 Alleyne patented a method that allowed hot ingots to be moved around a roller after they had passed by just one person. During the production of steel sections the bar has to be repeatedly put through rollers. Allowing this to happen using just one person was a substantial increase in productivity. By 1863 the company was rolling the largest masses of iron of any foundry in the country. Among its most famous buildings are the Barlow train shed at St Pancras station in London, which included 240-foot spans. Alleyne's next invention was the two high reversing steel mill patented in 1870, which used two steam engines to allow metal ingots to be repeatedly rolled to get the correct size and section. With this technique the steel did not have to be moved to re-enter the rolling process but merely had to be moved back into the rolling machine once it had passed through. There was also an extensive brickworks for railways, thousands of factories and domestic dwellings. By 1874 company workers were starting to fight for better conditions. The company sacked 11 miners "without a charge" on May 5, 1874. At its peak in the 1950s the company employed around 10,000 people. In 1957, a partnership with Air Products of the USA helped establish that company in the United Kingdom. In the early 1960s the company acquired locomotive manufacturer F. C. Hibberd & Co Ltd. 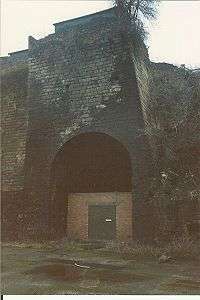 The Codnor Park works closed in 1965. The company was acquired by Lord Hanson in the 1968 for £4.7 million. The company was subsequently split up into Butterley Engineering, Butterley Brick and Butterley Aggregates. Butterley Hall, Outram's home and later the companies offices, was sold off to become the headquarters of Derbyshire Constabulary. In the mid 1980s the foundry closed down. When surplus buildings were demolished the original blast furnace of 1790 was exposed. The company entered the 21st century with a well-established reputation for constructing bridges, overhead cranes and structural steelwork. One of the company's prestige projects was the Falkirk Wheel, a boatlift at Falkirk, Scotland to reconnect the Forth & Clyde Canal and the Union Canal in place of a derelict flight of 11 locks. Designed by RMJM architects, it was funded by the Millennium Commission. The company constructed the Spinnaker Tower  in Portsmouth. On 5 March 2009, the company was placed into administration, the administrator stating "This is a highly specialist business that has proven vulnerable to the economic downturn". Following the closure of Butterley Limited in 2009, Wellman Booth acquired certain assets, Spares and Intellectual property Rights of the company. Wellman Booth is a division of The Clarke Chapman Group Ltd, its self a wholly owned subsidiary of Langley Holdings plc. Demolition of the works was undertaken in November and December 2009. Photographic records of the demolition and the works are at the Aditnow site. The blast furnaces, part of the canal tunnel and its underground wharf were declared a scheduled monument in 2013. ↑ "'World's oldest railway tunnel' awarded protected status". BBC NEWS. 19 March 2015. Bessemer, Sir Henry (1905). An Autobiography. London: Engineering. pp. 167–168. Reed, Edward (2011) . Shipbuilding in Iron and Steel: A Practical treatise. Cambridge University Press. ISBN 1-108-02645-1. ↑ "Company history". Archived from the original on 2006-10-15. ↑ "Hanson plc Company History".